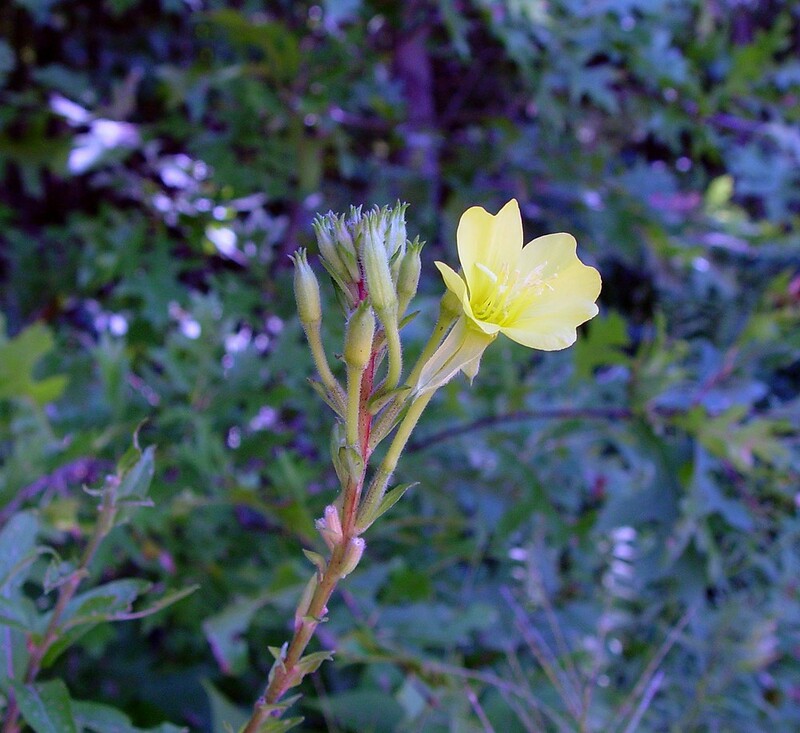 Nodding evening-primrose is native to eastern North America, and reaches the northeastern limit of its range in New England where it is rare. 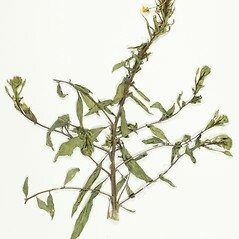 It grows on river banks, forest edges, fields and roadsides. 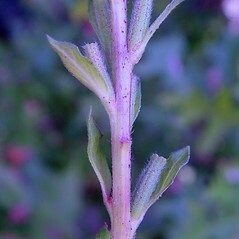 axis of the inflorescence definitely pubescent, bracts of the inflorescence 12–50 x 8–25 mm, green, deciduous (vs. O. nutans, with the axis of the inflorescence glabrous or usually appearing so without magnification, and bracts of the inflorescence 10–25 x 2–8 mm, pale green, caduceus). 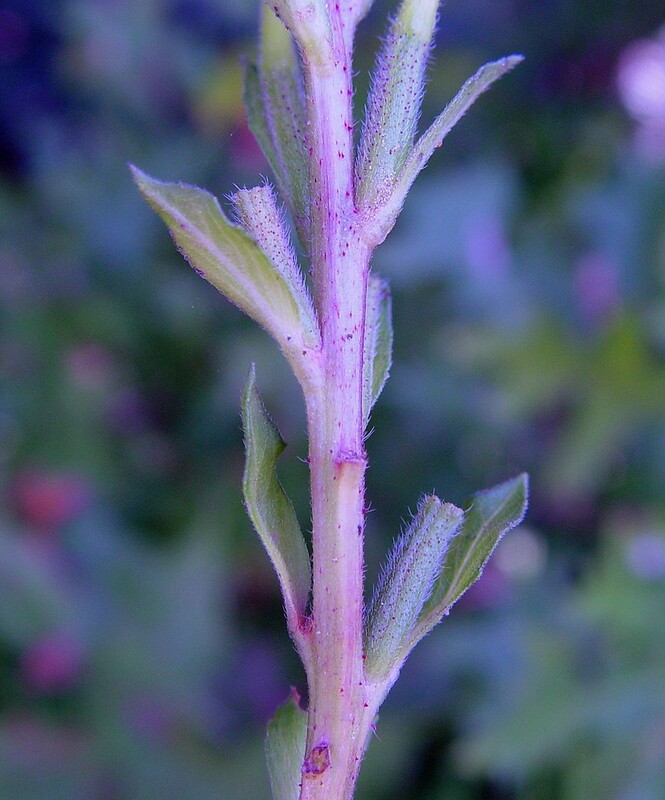 sepal appendages borne just below the true tip of the sepal, therefore, the true tip appearing as a small, scale-like projection below what appears to be the apex of the sepal (vs. O. nutans, with the sepal appendages borne at the true tip of the sepal, therefore, the true tip not projecting as a small scale below what appears to be the apex of the sepal). 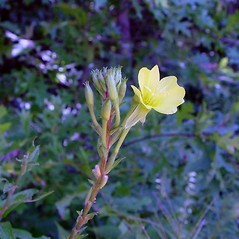 Oenothera biennis L. var. austromontana (Munz) Cronq. 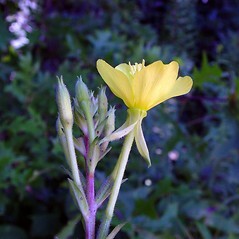 Oenothera biennis L. var. nutans (Atkinson & Bartlett) Wieg. nodding evening-primrose. 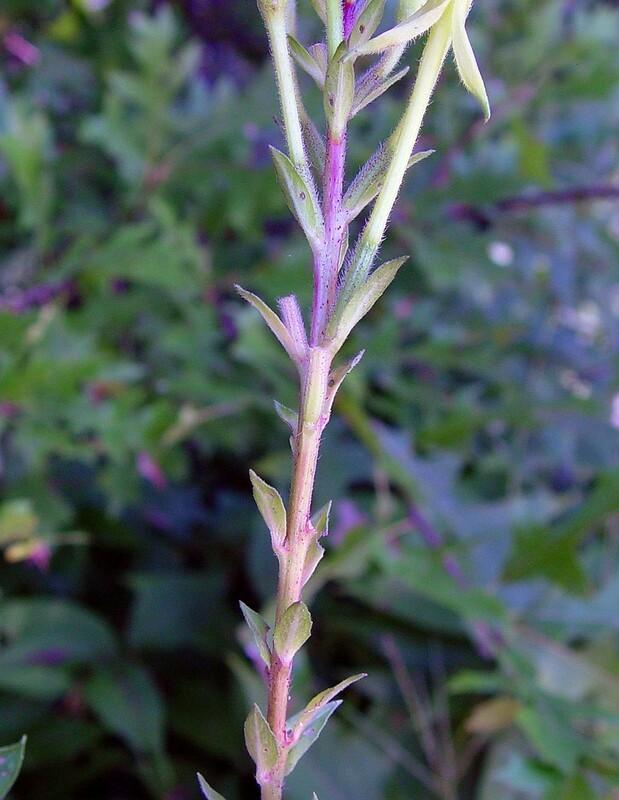 Oenothera austromontana (Munz) Raven, W. Dietr., & Stubbe; O. biennis L. ssp. 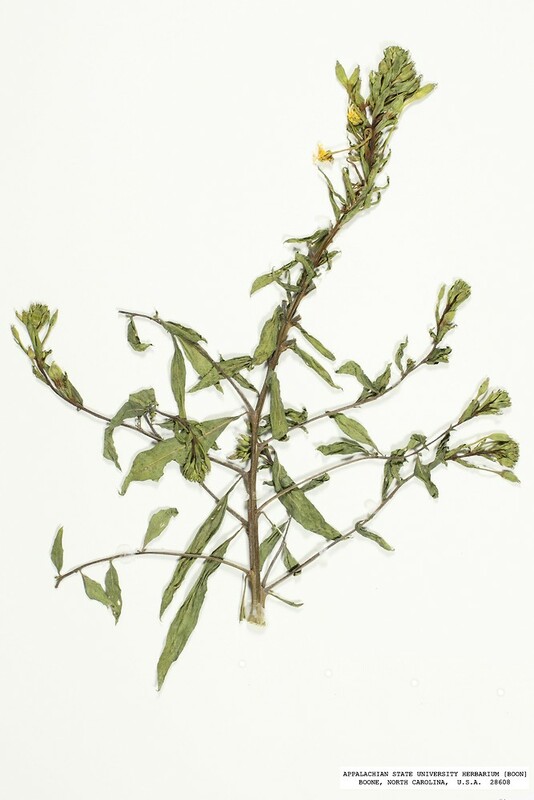 austromontana Munz; O. biennis L. var. 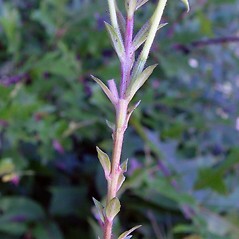 austromontana (Munz) Cronq., O. biennis L. var. nutans (Atkinson & Bartlett) Wieg. • CT, MA, ME, NH, VT. Fields, roadsides, river banks, forest borders.